I haven’t drunk a Gewurztraminer in years. But after trying this 2002 Alsace Grand Cru from Pierre Sparr, I won’t wait so long before opening another. Gewurz means “spicy” in German, and this wine has sweet and spicy elements. Gewurtraminer is often sold much younger: this six year old wine was really special, with huge fruit and complex layers of flavor. I love this unusual green bottle. It has swirls climbing the sides like the baroque columns of the baldacchino in St. Peter’s Basilica. 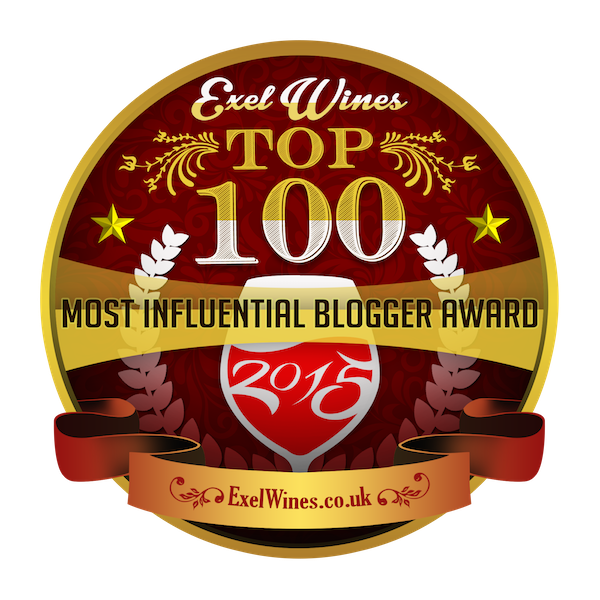 The varietal frequently paired with foods like smoked salmon and foie gras. So, here was dinner on a recent Friday night. 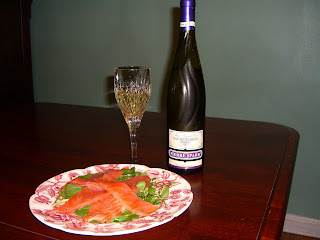 The sweetness of the smoked salmon picked up the sweetness in the wine, and the bitter bite of the watercress was a nice foil against that. 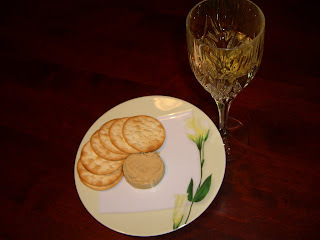 Next was the pate de foie gras from D’Artagnan simply spread on water crackers. Blended with truffles and Sauternes, it tasted…Oh wow. The earthy, powerful truffle penetrated the rich, buttery duck liver—it was bursting with flavor. So, a big, flavorful wine like this Gewurz stood up to it nicely. What a wake-up call for my palate. Big food! Big wine! Sometimes a night of full-out decadence does a body good.